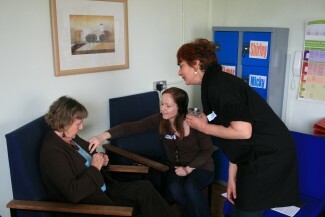 Fiddly microphones at our oral history interviewer training in 2011, with Jean, Anita and Babs. We are very fortunate to have lots of volunteers working with us, including our historian and treasurer. An enormous thank you to each and every one of them. 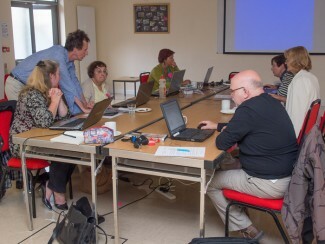 Juliet Brain, Clare Christopher, Alex Howie, Rita Jacob, John Palmer, Mary Stephens and Pam Wall. The website was patiently and thoroughly proof-read by Naomi Parkes. We have completed two oral history projects, under the guidance of our Oral History expert Babs Gibson. We couldn’t have done such a good job without the enormous amount of work put in by our volunteers. “I joined the Milford Street Bridge Project because I am interested in local history. As a relative newcomer to Salisbury it was also a good way of meeting people and learning about my new home. 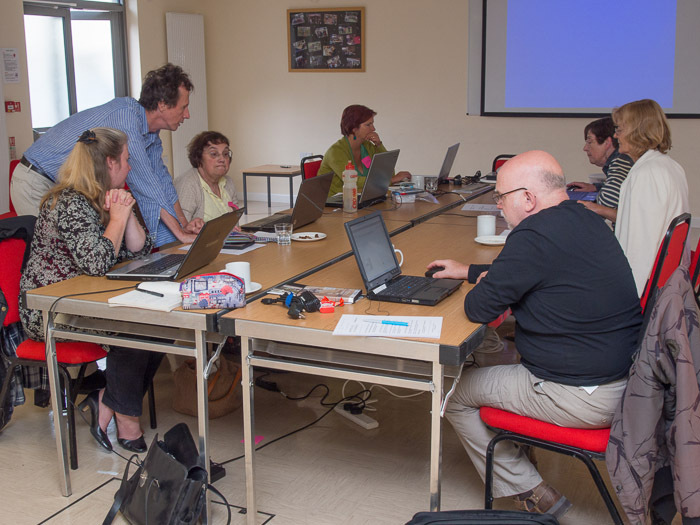 I was also pleased to learn transcribing – a skill which ties in well with my editorial experience” (Oral History Transciber). Mark Blackburn, Rita Jacob, Katharine Lay, Frogg Moody, Alison Pascalides, Eve Shillingford, Francesca Stout and Rita Taylor. Our historian, George Fleming, also undertook an enormous amount of research for which we are very grateful. “I look at my local area with new eyes now. I found researching my own street particularly interesting, and it was incidental things like exactly who inhabited the houses, how many had lodgers etc that was the most interesting. I also learnt about the mechanics of historical research – not least how time consuming it can be to get information from local newspaper archives” (Volunteer Researcher). John Palmer, Alison Pascalides, Francesca Stout and Anna Topp. We have had a large number of volunteers who have helped at events, and the St Edmunds Street Co-ordinators have delivered our fliers and newsletters house to house. A big thank you to you all! You’ve done a fantastic job – what an excellent and absorbing project and website!